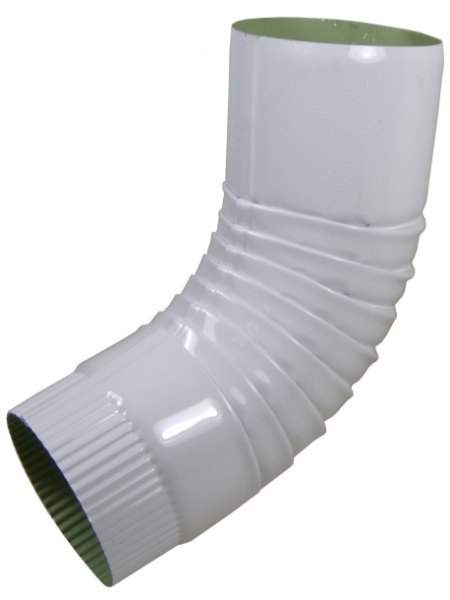 The most common downspout and elbow system to use with half round gutters. Sometimes called smooth round, plain round refers to the round downspouts and elbows that don't have any corrugations. Each round elbow comes crimped, in order to fit inside other downspouts and elbows. The non crimped end easily fits over the outside of the half round outlet tube.